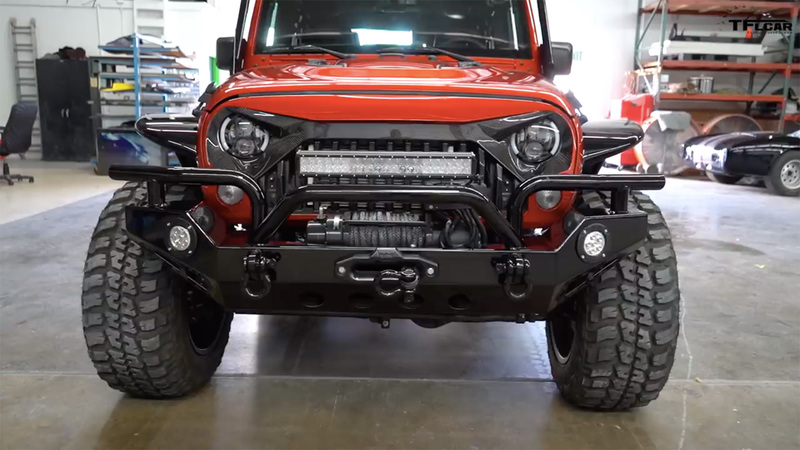 This Jeep Wrangler 6×6 called the “JK Six” was built by Russel Simpson at his company Exotic Custom Motorsports in Huntington Beach, California. 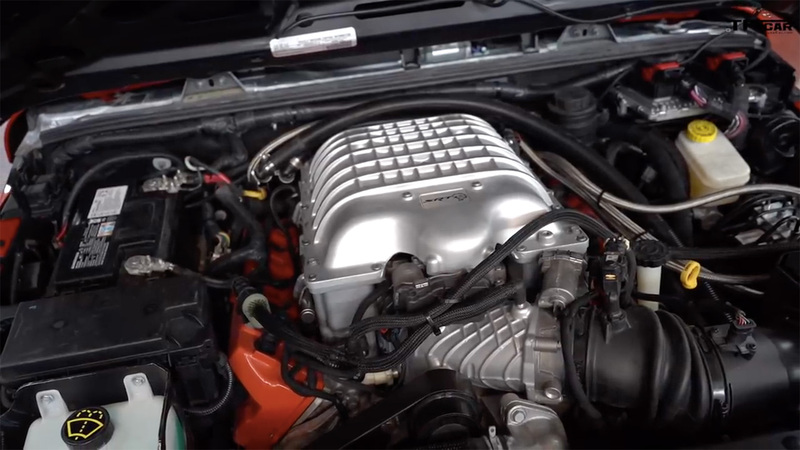 The unique Jeep is powered by a supercharged 6.2 L V8 from a Challenger SRT Hellcat that makes 707 horsepower and 650 lb-ft of torque. It sends that power to all six wheels through a ZF 8HP eight-speed automatic transmission, stock JK transfer case, stock front axle, custom middle axle, and stock Dana rear axle. 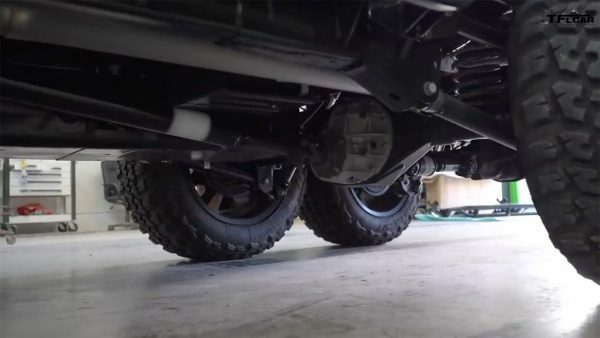 Each axle has a locking differential and 4.10 gears. 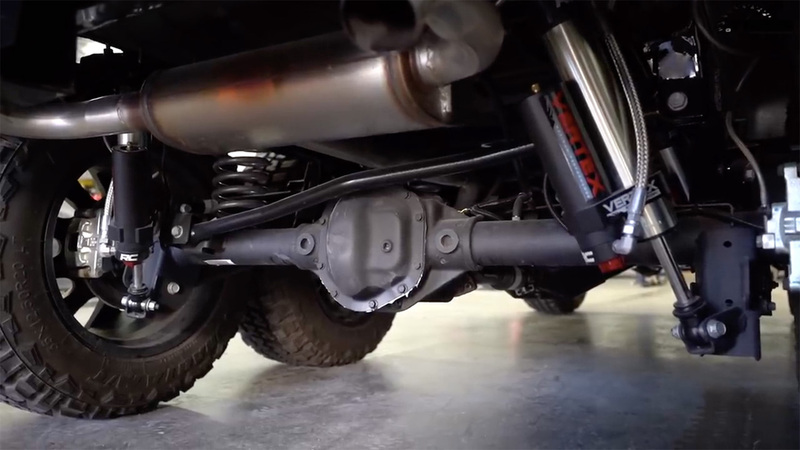 The Wrangler rides on a five-inch suspension lift with adjustable control arms and shocks, and 35-inch tires. Russel says his company put over 1,500 hours into the project and it’s for sale at $289,000.